The HSSG Wealth Management Group provides our clients with a boutique like, high-touch experience coupled with the resources of a global leader. We help families and businesses identify and address their financial objectives, focus on their particular circumstances and goals, and establish a plan to pursue best solutions for each individual and unique situation. We work diligently to help our clients secure their financial lives. The HSSG Wealth Management Group at Morgan Stanley is a tightly knit team with a common purpose. We are here to help our clients preserve, enhance and transfer their wealth within the context of their greater life goals. 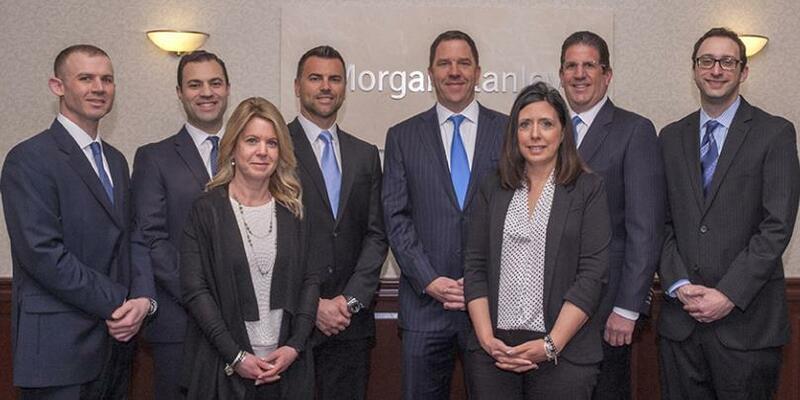 With over 100 years of combined experience in financial services, our nine-member team provides comprehensive wealth management and premium client service to distinguished individuals and institutions. Together, as a team, we take a collaborative approach to provide you with access to the most appropriate solutions that compliment the highest levels of service. Any conversation we have, and plan we develop, will be focused on the goals established when we are initially engaged. Over time, our review process is designed to help incorporate life, family and business changes into your plan. While we bring complementary skills and perspectives to our clients, we also share a commitment to responding to your needs promptly, professionally and thoroughly. Our goal is to earn your confidence not only through the quality of solutions we provide, but also by the excellence with which we deliver them. As a 7th grader, Rick Hughes won a stock market contest sponsored by a local Philadelphia firm. The award dinner was held on the floor of the Philadelphia stock exchange and a passion for the market was born. Since that time, Rick has worked hard to enhance his knowledge and skills. After attending Washington & Lee University, Rick launched a successful career at Merrill Lynch, UBS, and Morgan Stanley. In 2012, Barron’s named Rick one of America’s Top 1,000 Financial Advisors. 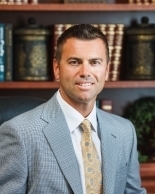 In 2018 and 2019, Rick was named a Forbes Best in the State Top Advisor for New Jersey. Currently, Rick is an Executive Director at Morgan Stanley overseeing The HSSG Wealth Management Group, a boutique wealth management team that directs high net worth families in formulating, executing, and monitoring thoughtful solutions to build and preserve wealth. Rick focuses on developing relationships with clients to gain an understanding of their needs, wants and wishes. Armed with this knowledge, he is well qualified to implement strategies that seek to provide income & growth with an emphasis on risk management. Rick resides in Moorestown, NJ with his wife and three children. Danny’s professional focus is targeted on helping high net worth families, executives, and corporations develop strategies to meet their unique needs and objectives. 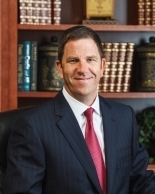 He is a Senior Vice President and Wealth Advisor with Morgan Stanley and additionally has earned two distinct titles. As Family Wealth Director - a distinction earned by less than 500 of Morgan Stanley’s Financial Advisors, he has extensive experience working with highly affluent families and their multi-generational needs. Further, as Corporate Retirement Director, Danny has demonstrated his focus and advanced skill set by helping Fiduciaries, Sponsors and Trustees manage their corporate retirement plans. A partner of the HSSG Wealth Management Group, he is responsible for running mission-critical functions of the team. In 2018 and 2019, Danny was honored to be named a Forbes Best in the State Top Advisor for New Jersey. 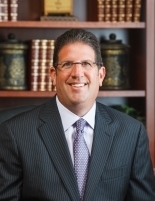 For 2014 - 2018, Danny has been recognized annually by both NJ Monthly and Philadelphia Magazine as a Five Star Wealth Manager. He is actively involved with charitable organizations and has received the Daniel B. Toll Humanitarian Award from the Woodcrest Country Club and Katz Jewish Community Center. A George Washington University graduate, majoring in Finance, Danny and his wife, Heidi, live in Cherry Hill, NJ along with their three sons. Shawn Senior is a Senior Vice President-Financial Advisor with The HSSG Wealth Management Group at Morgan Stanley. Shawn’s experience includes helping current and future retirees with investment planning and meeting their income and retirement goals. Additionally, Shawn focuses on aiding professional athletes with long-term planning and effectively managing all facets of their financial lives. Shawn has a deep understanding of the unique financial challenges of athletes. His goal is to deliver the resources needed to help create and implement a comprehensive wealth management plan. Shawn played in the Boston Red Sox organization and stays actively involved in the baseball community. Shawn attended North Carolina State University on an athletic scholarship and graduated from LaSalle University with a degree in business management. He resides in Cherry Hill, NJ with his wife, Danielle, and his two children, Nicholas & Alexandra. 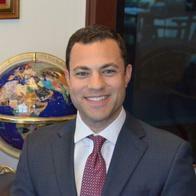 Joe Cirucci is a Financial Advisor and Certified Financial Planner™ with Morgan Stanley. He began his career in 2003, working at the Philadelphia Stock Exchange throughout high school and college, where he developed a passion for financial markets. After interning with the team, Joe officially joined the HSSG Wealth Management Group at Morgan Stanley upon graduating from Franklin and Marshall College in 2011. He is also an alumnus of St. Joseph’s Prep, and is an active member on multiple boards for both institutions. Joe takes pride in helping clients address their concerns and plan for future goals, focusing on the client experience and building long-term, generational relationships. He is licensed with the Series 7, 66, 31, and Insurance Producer designations. Additionally, Joe was awarded the CFP® designation in 2015 through the Certified Financial Planning Board of Standards. Joe currently lives in Moorestown, NJ with his wife Gina. As a Morgan Stanley Financial Advisor and associate on The HSSG Wealth Management Group, much of Jeff’s focus is on developing new client relationships. Jeff’s passion is helping late-career individuals and their families with retirement transition planning, assisting them to gather an inventory of their assets, obligations, and sources of income. He takes time to listen to what matters most in their lives, allowing the team to apply their wealth of experience and match Morgan Stanley’s vast resources to effectively establish a plan in pursuit of a solution for each unique and individual circumstance. 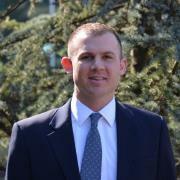 Jeff joined the HSSG Wealth Management Group in January 2014. He graduated from the University of Delaware with a degree in Finance and Economics. Jeff resides in South Jersey and is an avid Philadelphia sports fan. Cheryl began her career in the financial services industry in 1993. 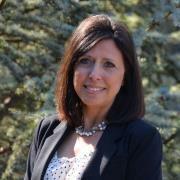 Joining the team in 2002, Cheryl’s role is to offer our clients value added service. Her goal is to provide a pleasant, enjoyable, and seamless client experience while handling the operational and administrative needs for the team. Cheryl develops and maintains a personal relationship with our clients and enhances the team’s ability to deliver an exemplary level of high quality service. She is an integral team member and is typically the first contact for a large number of the team’s client base. Lyle Feld is a Wealth Management Associate of The HSSG Wealth Management Group at Morgan Stanley. After graduating from the University Of Connecticut in 2005, Lyle started working for Merrill Lynch and developed a foundation of skills which foster service excellence. Lyle is a registered representative and manages the team’s client experience. Lyle focuses on understanding individual client goals while providing highly personalized services. 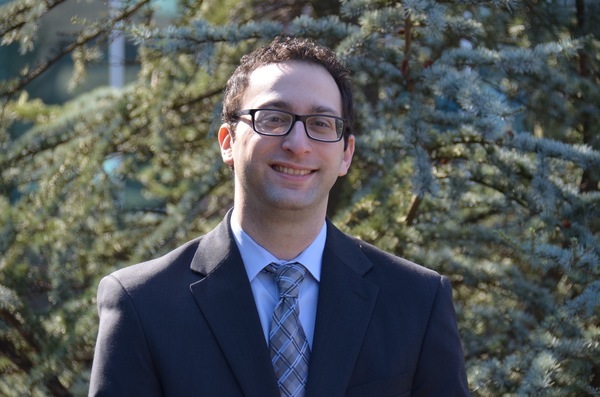 Lyle recently graduated from Rutgers University with an MBA and a concentration in Finance. Lyle lives in Cherry Hill, NJ with his wife and daughter. Dawn began her career in the financial services industry in 1987. She joined the team in 2006 and holds years of experience in both service and operations. 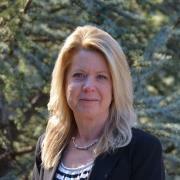 Dawn oversees all aspects of client operation and is dedicated to delivering exemplary client service. As a fully registered and licensed senior registered associate, Dawn is responsible for helping the team with issues not only on the operational side, but also can assist clients with market and trade related requests. Her skill set allows the team’s clients an immediate response enhancing the level of service the team offers. Ready to start a conversation? Contact The HSSG Wealth Management Group today. 2Tax laws are complex and subject to change. Morgan Stanley Smith Barney LLC (“Morgan Stanley”), its affiliates and Morgan Stanley Financial Advisors and Private Wealth Advisors do not provide tax or legal advice and are not “fiduciaries” (under ERISA, the Internal Revenue Code or otherwise) with respect to the services or activities described herein except as otherwise provided in writing by Morgan Stanley and/or as described at www.morganstanley.com/disclosures/dol . Individuals are encouraged to consult their tax and legal advisors (a) before establishing a retirement plan or account, and (b) regarding any potential tax, ERISA and related consequences of any investments made under such plan or account. 3Morgan Stanley offers a wide array of brokerage and advisory services to its clients, each of which may create a different type of relationship with different obligations to you. Please consult with your Financial Advisor to understand these differences. 6Morgan Stanley Smith Barney LLC (“Morgan Stanley”), its affiliates and Morgan Stanley Financial Advisors or Private Wealth Advisors do not provide tax or legal advice. Clients should consult their tax advisor for matters involving taxation and tax planning and their attorney for legal matters. 7Morgan Stanley’s investment advisory programs may require a minimum asset level and, depending on your specific investment objectives and financial position, may not be suitable for you. Please see the Morgan Stanley Smith Barney LLC program disclosure brochure (the “Morgan Stanley ADV”) for more information in the investment advisory programs available. The Morgan Stanley ADV is available at www.morganstanley.com/ADV.